LAS VEGAS, May 18, 2017 /PRNewswire/ -- Caesars Entertainment Corporation (NASDAQ: CZR) ("Caesars Entertainment") Chief Executive Officer Mark Frissora and other senior executives will today discuss the Company's strong historical performance and its prospects and strategy for growth. At its 2017 Analyst Day in Las Vegas, Frissora and his management team plan to provide an update on the Company's financial and operational improvements as well as current and planned initiatives to enhance shareholder value. Since 2014, Caesars Entertainment has invested more than $2 billion in property and room renovations, developments, technology upgrades and new amenities. Combined with the implementation of business process improvement initiatives, Caesars Entertainment has improved adjusted EBITDA by $756 million and adjusted EBITDA margins by more than 800 basis points. "We have made meaningful financial and operational progress, and set aggressive, achievable goals for the future," Frissora said. "Ultimately, we believe our success will be the result of expert management, engaged employees and a relentless focus on customer satisfaction." Strongest Loyalty Program in the Gaming Industry – With more than 50 million Total Rewards members, the program demonstrates a significant impact on property performance that Caesars Entertainment expects to improve as the Company applies machine learning to customer behavioral data. Strong Revenue Position in Las Vegas – While diversified across the U.S. Caesars Entertainment garners more than 50 percent of gaming revenue in Las Vegas, a city with a positive, long-term outlook. In addition, renovations and remodeling of the Company's Las Vegas properties are expected to create substantial runway for pricing growth. Network Expansion Opportunities – Caesars Entertainment anticipates the emergence of CEOC is expected to reduce debt by approximately ~$16 billion and to unlock new opportunities for organic and inorganic growth across global markets. Proven Management Execution – Improving enterprise-wide performance is expected to continue as a result of disciplined capital allocation and a more efficient operating model. The successful execution of these revenue initiatives and continued focus on operating efficiency has driven an improvement in cash flow. Cash flow is expected to continue to improve as a result of potential debt refinancing and the elimination, in 2018, of costs associated with CEOC's restructuring. The Company's continued commitment to investment in its assets is evidenced by its announcement today that it plans to begin the $89 million renovation of more than 1,250 rooms at the Flamingo Las Vegas. These upgrades are part of a plan to renovate more than 7,000 rooms across the enterprise by year end 2017. Later this year, the Company expects CEOC's restructuring to be completed as well as the merger of Caesars Entertainment and Caesars Acquisition Company. Upon completion, management believes it will have more opportunities to invest in and grow the business. Caesars Entertainment Corporation ("Caesars Entertainment") is the world's most diversified casino-entertainment provider and the most geographically diverse U.S. casino-entertainment company. Caesars Entertainment is mainly comprised of the following three entities: the majority owned operating subsidiary Caesars Entertainment Operating Company, Inc. ("CEOC"), wholly owned Caesars Entertainment Resort Properties, LLC and Caesars Growth Properties, LLC, in which we hold a variable economic interest. Since its beginning in Reno, Nevada, 79 years ago, Caesars Entertainment has grown through its development of new resorts, expansions and acquisitions and its portfolio of subsidiaries now operate 47 casinos in 13 U.S. states and five countries. Caesars Entertainment's resorts operate primarily under the Caesars®, Harrah's® and Horseshoe® brand names. Caesars Entertainment's portfolio also includes the London Clubs International family of casinos. Caesars Entertainment is focused on building loyalty and value with its guests through a unique combination of great service, excellent products, unsurpassed distribution, operational excellence and technology leadership. Caesars Entertainment is committed to environmental sustainability and energy conservation and recognizes the importance of being a responsible steward of the environment. For more information, please visit www.caesars.com. 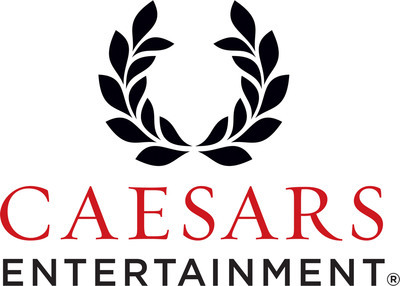 Pursuant to the Amended and Restated Agreement and Plan of Merger, dated as of July 9, 2016, between Caesars Entertainment and Caesars Acquisition Company ("CAC"), as subsequently amended on February 20, 2017 (as amended, the "Merger Agreement"), among other things, CAC will merge with and into Caesars Entertainment, with Caesars Entertainment as the surviving company (the "Merger"). In connection with the Merger, on March 13, 2017, Caesars Entertainment and CAC filed with the Securities and Exchange Commission (the "SEC") a registration statement on Form S-4 that includes a preliminary joint proxy statement/prospectus, as well as other relevant documents concerning the proposed transaction. The registration statement has not yet become effective. After the registration statement is declared effective by the SEC, a definitive joint proxy statement/prospectus will be mailed to stockholders of Caesars Entertainment and CAC. Stockholders are urged to read the registration statement and joint proxy statement/prospectus regarding the Merger and any other relevant documents filed with the SEC, as well as any amendments or supplements to those documents, because they will contain important information. You will be able to obtain a free copy of such joint proxy statement/prospectus, as well as other filings containing information about Caesars Entertainment and CAC, at the SEC's website (www.sec.gov), from Caesars Entertainment Investor Relations (investor.caesars.com) or from CAC Investor Relations (investor.caesarsacquisitioncompany.com). Caesars Entertainment, CAC and their respective directors, executive officers and certain other members of management and employees may be soliciting proxies from Caesars Entertainment and CAC stockholders in favor of the business combination transaction. Information regarding the persons who may, under the rules of the SEC, be considered participants in the solicitation of the Caesars Entertainment and CAC stockholders in connection with the proposed business combination transaction is set forth in the definitive proxy statement filed with the SEC on April 12, 2017 and Amendment No. 1 to the Annual Report on Form 10-K for CAC's fiscal year ended December 31, 2016, filed on March 31, 2017, respectively. You can obtain free copies of these documents from Caesars Entertainment and CAC in the manner set forth above. This document includes forward-looking information within the meaning of the Private Securities Litigation Reform Act of 1995. You can identify these statements by the fact that they do not relate strictly to historical or current facts and by the use of words such as "plan," "intend," "will," "may," "expect," "opportunities," "projected" or the negative or other variations thereof or comparable terminology. In particular, they include statements relating to, among other things, the emergence from bankruptcy of CEOC, the Merger with CAC, future actions that may be taken by Caesars Entertainment and others with respect thereto and projected results of operations. You are cautioned that forward-looking statements are not guarantees of future performance or results and involve risks and uncertainties that cannot be predicted or quantified and, consequently, the actual performance and results of Caesars Entertainment may differ materially from those expressed or implied by the forward-looking statements. Such risks and uncertainties include, but are not limited to, the following factors, as well as other factors described from time to time in our reports filed with the SEC: Caesars Entertainment's and CEOC's ability (or inability) to meet any milestones or other conditions set forth in their restructuring support agreements, Caesars Entertainment's and CEOC's ability (or inability) to satisfy the conditions to the effectiveness of the Third Amended Joint Plan of Reorganization of CEOC and its Chapter 11 debtor subsidiaries, other risks associated with the CEOC restructuring and related litigation, industry and economic conditions and competitive, legal, governmental and technological factors. There is no assurance that the Caesars Entertainment's expectations will be realized. You are cautioned to not place undue reliance on these forward-looking statements, which speak only as of the date of this document. Caesars Entertainment undertakes no obligation to publicly update or release any revisions to these forward-looking statements to reflect events or circumstances after the date of this document or to reflect the occurrence of unanticipated events, except as required by law.